We successfully visited CME headquarter in Beijing, China last week. 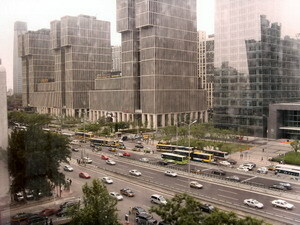 All the facilities and city system of Beijing were well-organized in our point of view. We think the government is really doing good job to prepare Olympic, especially on purifying air of city that was subjected by foreign reports several times. We are really impressed by advanced features of Beijing airport. Unfortunately, the earthquake in South-western China occurred on day of our visit. There were lots of people outside of building on the street to protect themselves from possible danger. 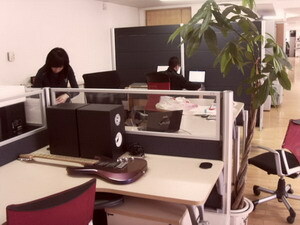 Nonetheless, the employees of CME were focusing and working hard on their jobs. The building on the right is where CME’s headquarter is located. This is street view from CME building. 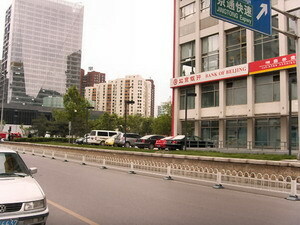 The street and building were very clean and well-organized because this is newly established Central Business District. 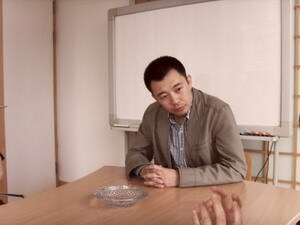 This is Zhao, CEO of CME, former university professor. He said he doesn’t have plan for new product in 2008, but will focus on maximizing support and quality control of current lineup. He also mentioned about ZSC. Initially he planned to use current keybed on ZSC, but dropped it because of weight of ZSC. He told us they are developing new keybed with small size and light weight for ZSC and new Third Generation of their master keyboard. 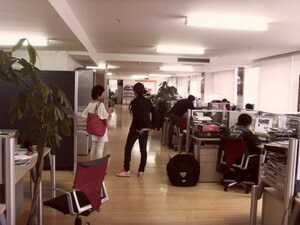 Inside of CME headquarter. Originally, they had retail shop right next to the office. 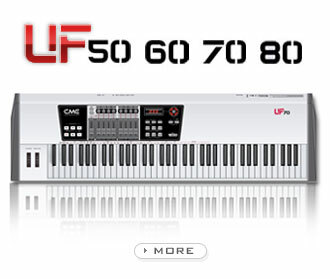 But they decide to close it to concentrate on CME master keyboard and domestic distribution business. The employees were assigned to particular jobs such as CME, distribution, technical support, customer support and newly made education business section. 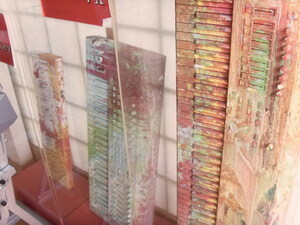 CME did lot of events including this painting contest. 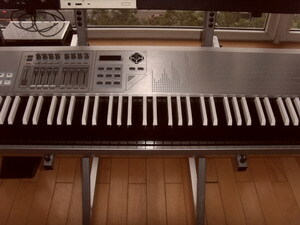 Master Keyboard with inverted color keybed. The purpose of this CME headquarter visit wasn’t for any issue or new products, but to encourage our communication and cooperation. Since we introduced CME in Korea 3 years ago, CME have been really happy for their customer in Korea and their endless suggestions for their products.